Pho Royal is a small Vietnamese restaurant located right across the Burrard St. Bridge in Kitsilano. They have a basic menu and serve pho and other rice dishes. I have had a hard time finding pho places close to where I work. Since this place is the only one within walking distance, I thought I should give it a try. I had the house special pho that was filled with rare beef, beef brisket, and beef balls. The pho here is smaller than most other bowls of pho and more expensive and I easily finished all of the noodles. In all fairness, I guess they have to pay Kitsilano rent somehow. You may be able to add more noodles, but I didn’t notice different sizes on their menus. The noodles themselves were not very good. They were stuck together in one massive clump and it was hard to pull them apart without them all breaking and making a mess. The broth was also just okay. 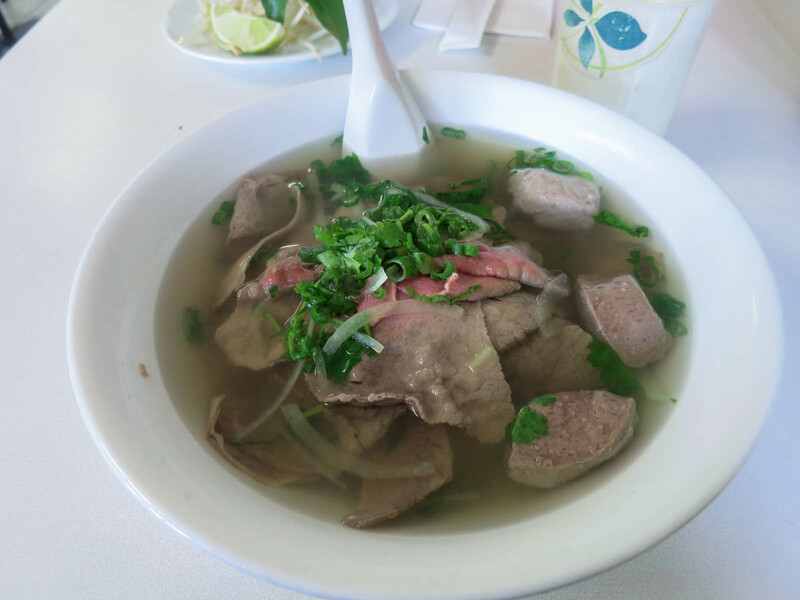 There was lots of fresh cilantro, which was good, but there wasn’t a strong depth of beef flavour or spices in the broth. My experience at Pho Royal was underwhelming. The pho was small, expensive, and mediocre. It is too bad that there is such a lack of pho places in the Kitsilano area because they really need something better. No, the pho is small and expensive. Good thing I didn’t go here – I was about to the next time I had work!